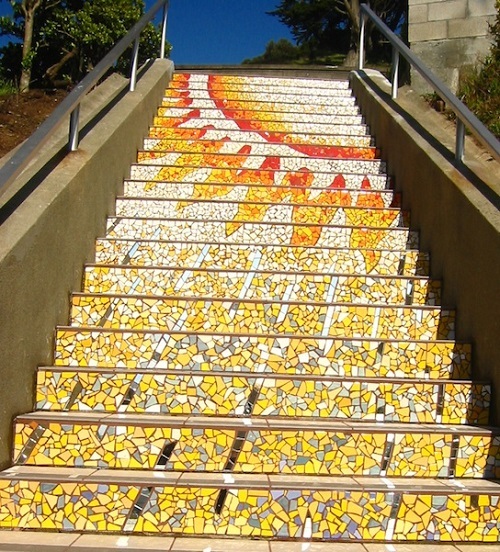 Launched in August 2005 unique art project by mosaic artist Colette Crutcher and Irish ceramist Aileen Barr – ‘Tiled Steps’ in San Francisco has become known worldwide. Neither urban event or a concert or wedding is complete without a visit the intersection of 16th Ave. and Moraga. 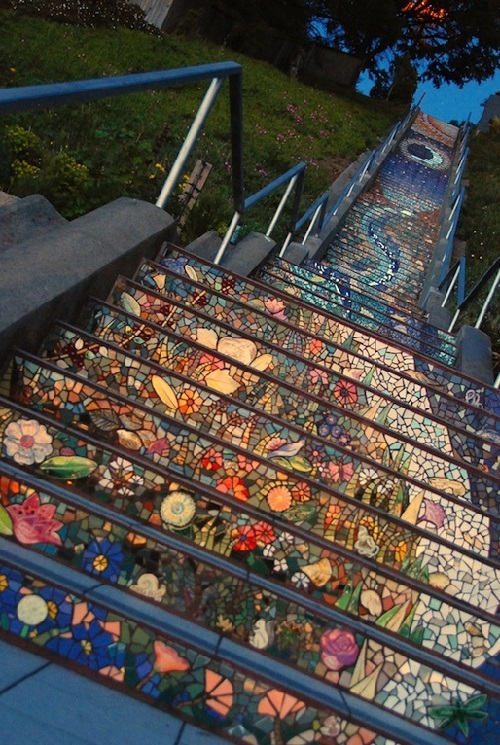 In fact, Mosaic Tiled Steps staircase has 163 steps, decorated with hand-made 2,000 ceramic tiles. 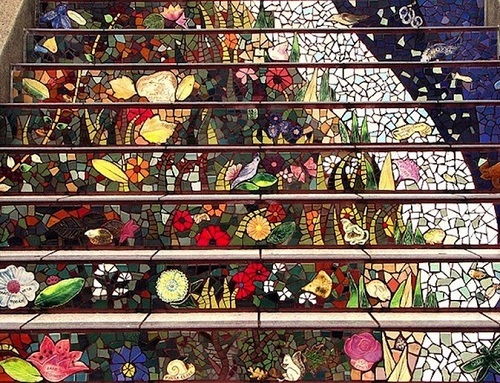 Decorated with 75,000 pieces of multicolored mosaic, glass and mirrors, it’s a huge colorful mural. 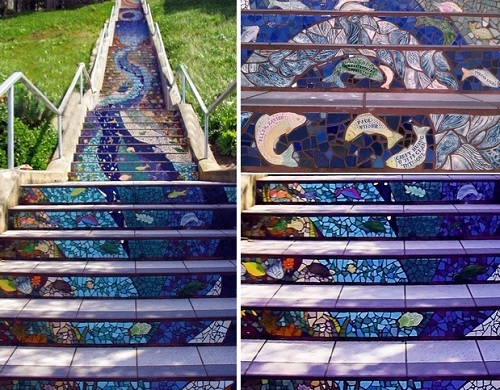 The picture of the mosaic in particular, shows the underwater and Earth life with the inhabitants of the seas and rivers, forests and deserts. Also, feathered inhabitants of the planet, flowers, trees and grasses, as well as celestial bodies, stars and constellations of our galaxy. 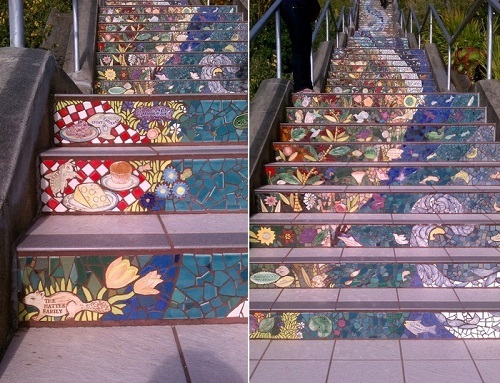 Despite the fact that the project is almost 10 years old, residents and visitors of San Francisco continue to make trips to this place. 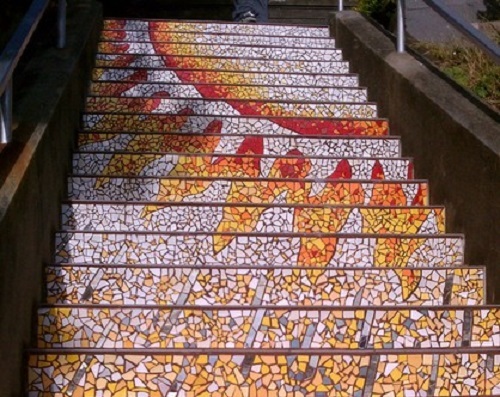 They can’t help admiring and taking pictures of Mosaic Tiled Steps. 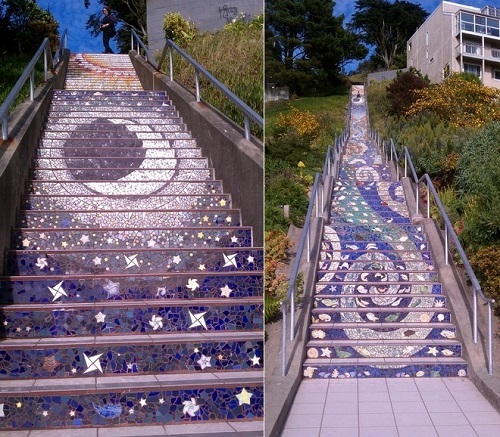 Built for two and a half years, this creative project has employed 300 sponsors. 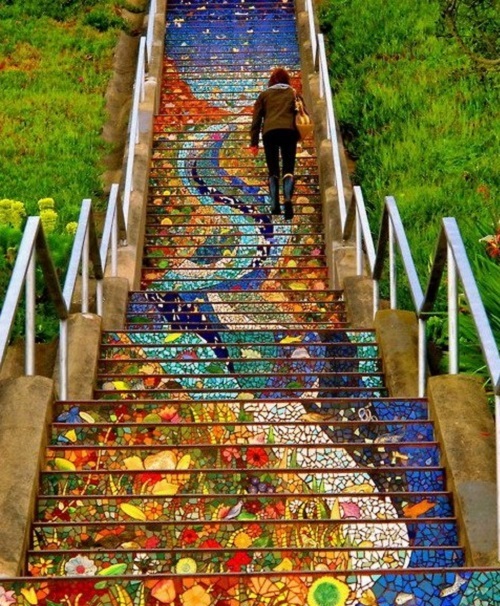 Noteworthy, their names are woven into the mosaic as a thanks for the help and the work done together. 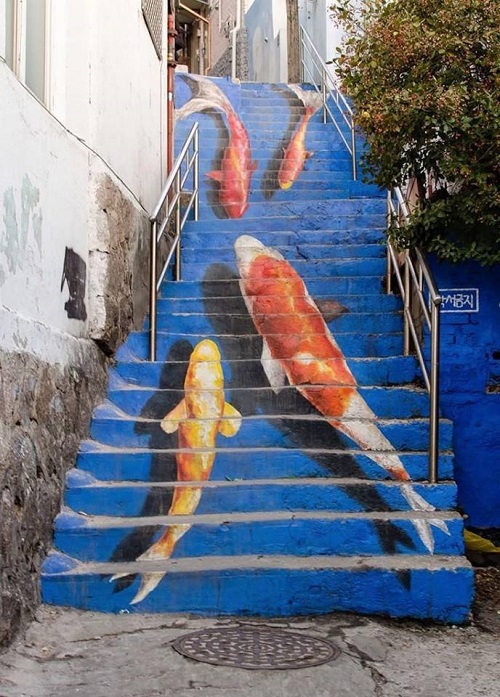 The value of the art project in artistic contribution to the overall development of the city is undoubtfull. Accordingly, the authors got a lot of awards, including a special award and a certificate of honor of the city of San Francisco.